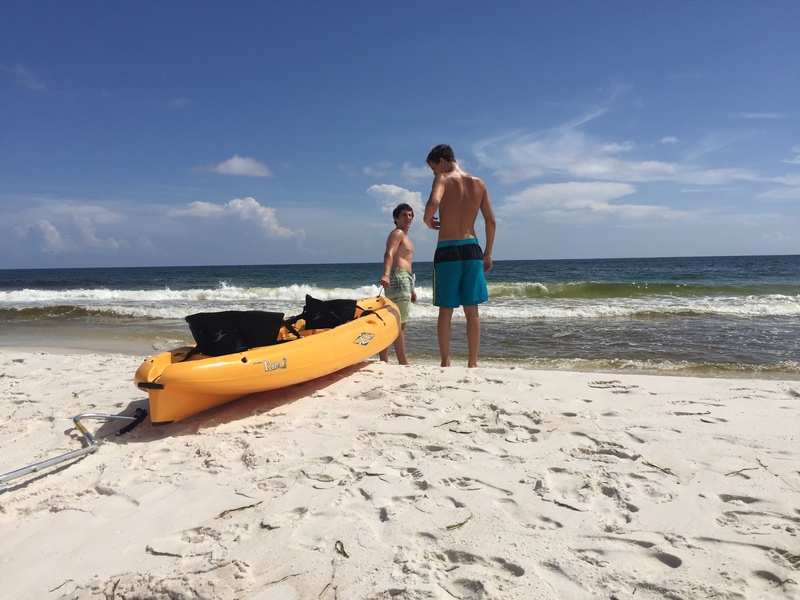 We really want our guests to enjoy all the things we love to do while we are at the beach. 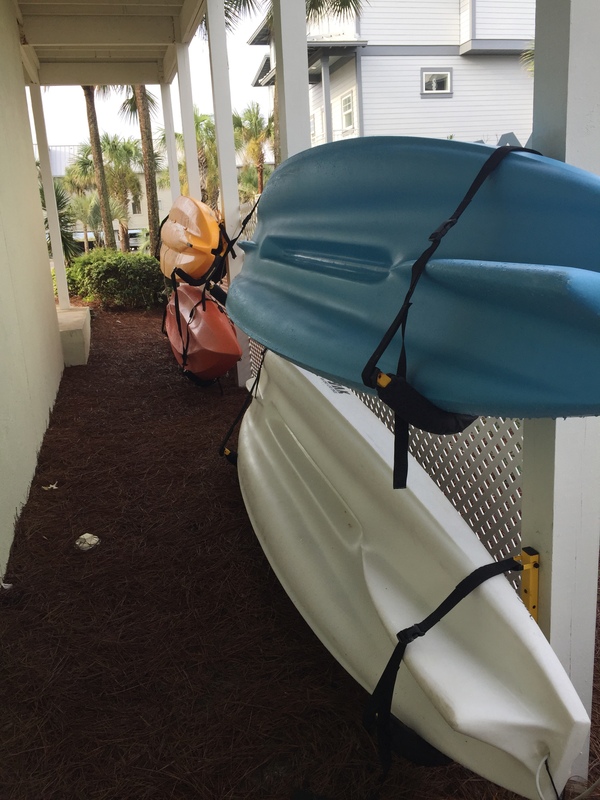 We don’t want you to have to pay extra to rent one or two kayaks or paddle boards. We want you to be able to enjoy these activities every day together as a group! So, we have two kayaks that seat 2 people each. 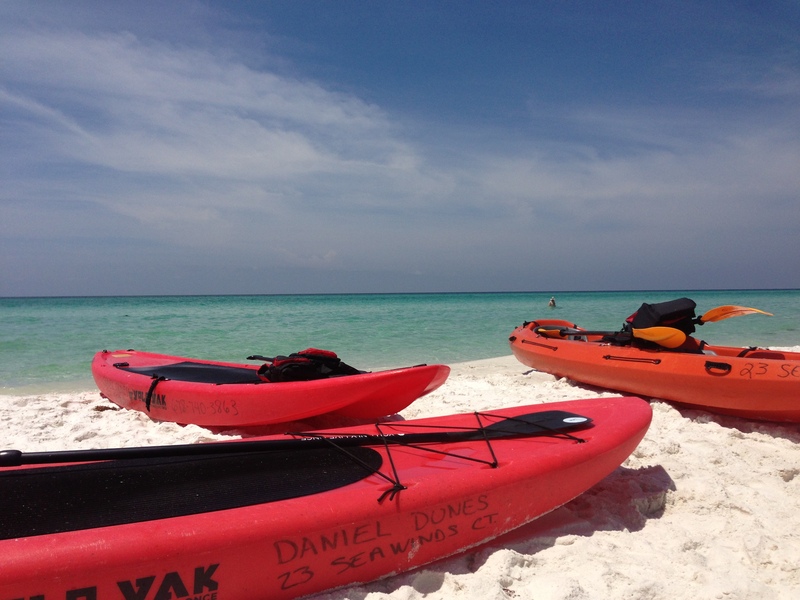 These are great for morning dolphin cruises in the gulf or exploring Deer Lake. 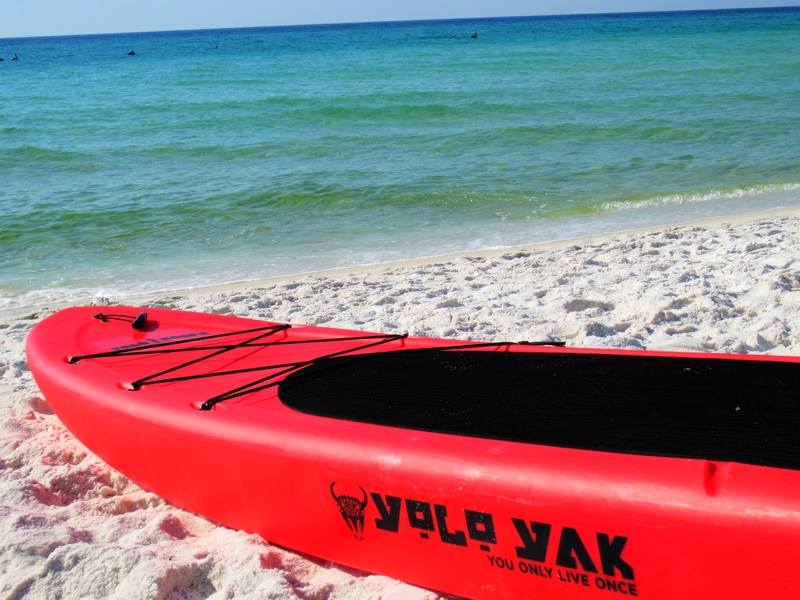 We also have two Yolo Yak stand up paddle boards. 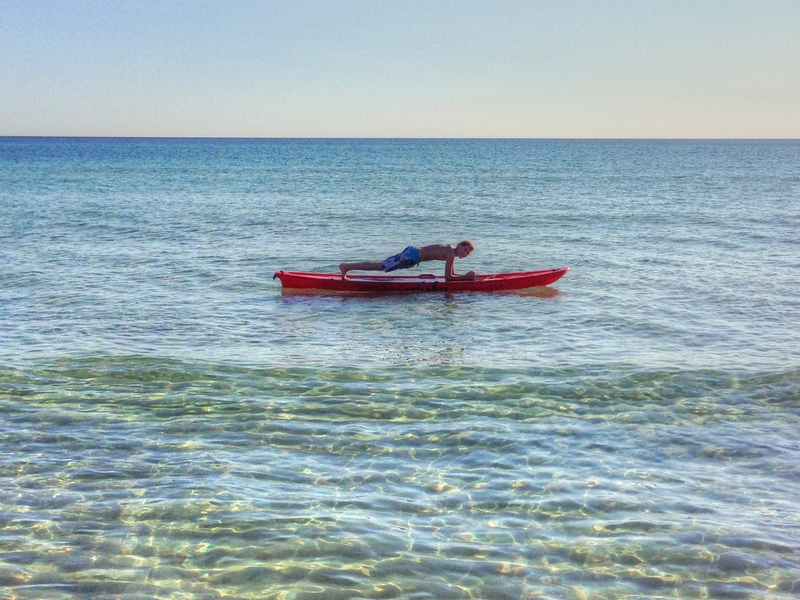 These are easy beginner boards that provide great stability for those new to paddle boarding. 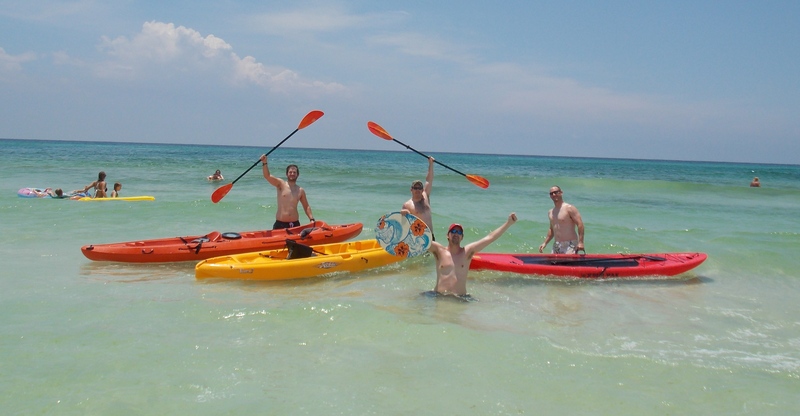 With these four water craft, you can enjoy the gulf waters as a group instead of taking turns with rentals. All our EXTRAs are probably what we get the most positive feedback about from our guests. 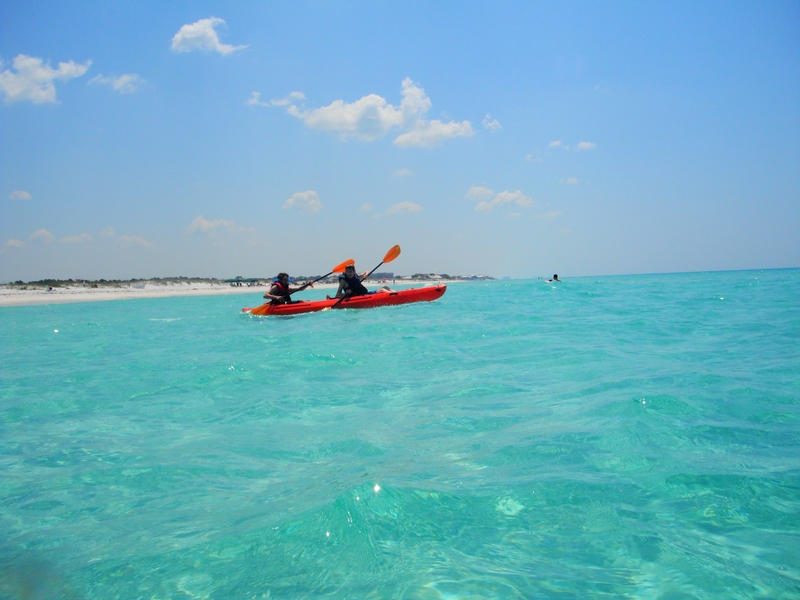 Here is a great pic sent in from our past guests who thoroughly enjoyed all the water craft! 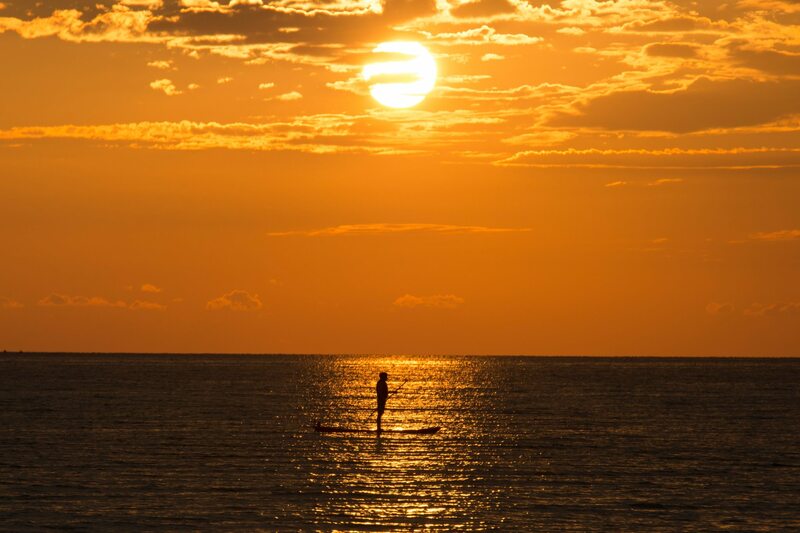 Below is a photo of our son paddle boarding at sunset. Hello! 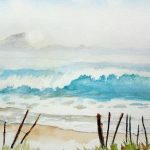 We purchased our vacation home in 2011 and hope to retire at the beach someday. In the meantime, we love sharing our home and having families make memories in our home. Over the years, we have had many repeat guests, and many anniversaries, weddings, and other special occasions celebrated at our home. We have been blessed with wonderful guests year after year! Daniel Dunes is a 5 bedroom/4 bathroom property boasting wide westerly gulf views. 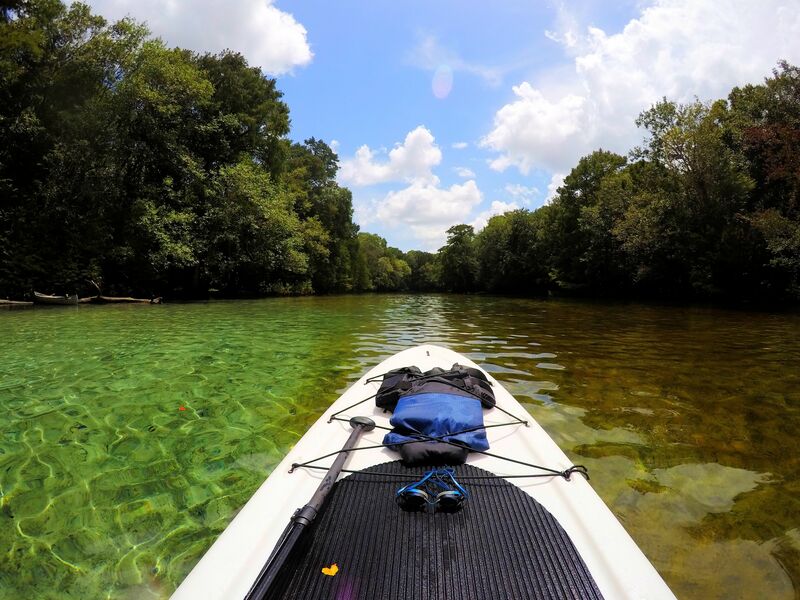 The private pool backs up to a lake great for fishing, kayaking and paddle boarding. 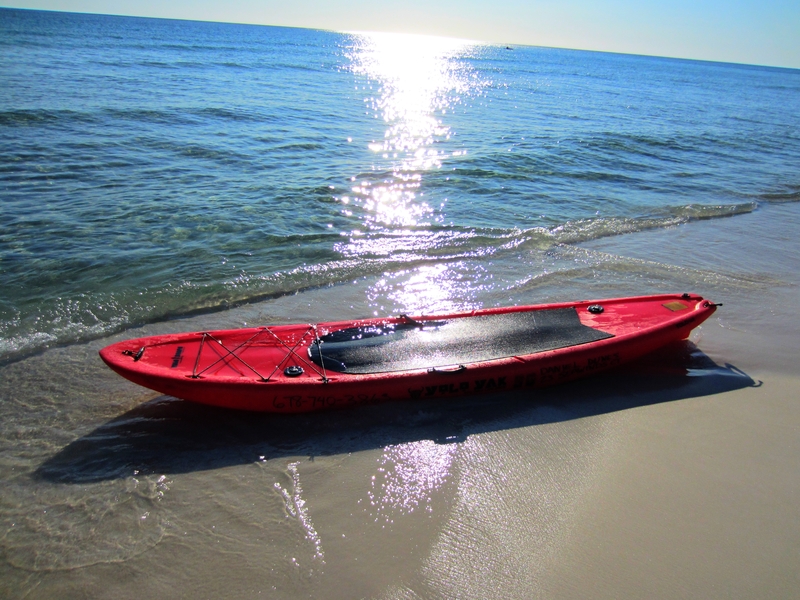 Our home includes two 2-person kayaks and 2 paddle boards for use on the lake or ocean. 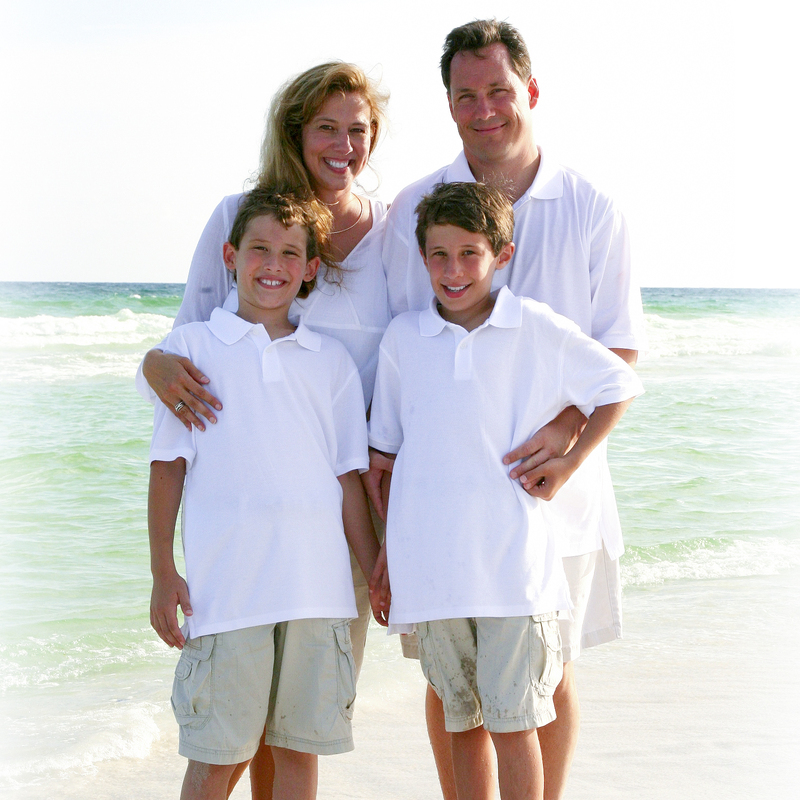 Also, we have bicycles, beach carts, ample beach chairs, boogie boards and sand toys we encourage our guests to enjoy. We Are Online Every Day And We Are Here For You. You can reach us at 678-740-3863 (DUNE) or email us. Thanks so much for allowing us to stay in your home! We had no idea how close to the beach you really are. It was a very pleasant surprise! Another unexpected perk was all the gear in the garage. 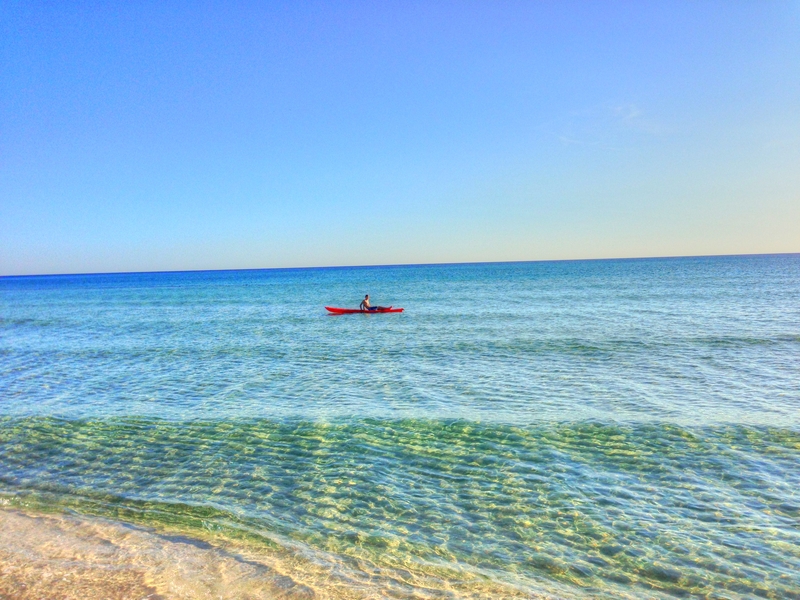 We felt so lucky to be able to kayak or paddle board any day or time we chose instead of renting the equipment by the hour or day. And, the ultimate surprise was your celebrity neighbor who happened to be at his home during our stay! He was so gracious and it was great fun to sit on the deck and watch his kids learning to ride bikes. Wonderful girls trip! We WILL be back!